The new age in medical alert systems is off to the races. The Freedom Guardian, a medical alert smartwatch, is designed for the active older adult in mind. But perhaps just as importantly, it's also designed for family caregivers. The first medical alert systems were designed to be used exclusively in the home. The next mobile generation of medical alert devices allowed customers to use the system outside their home. But many mobile systems required carrying two devices with you at all times and were bulky, uncomfortable and frankly an eyesore. The new trend towards medical alert smart watches solve some of the biggest issues for medical alerts. They're stylish, reliable and come with a host of senior friendly functionality that can significantly help with remote care giving. While not the best solution for everyone, it offers protection and convenience to a whole new segment of active older adults. 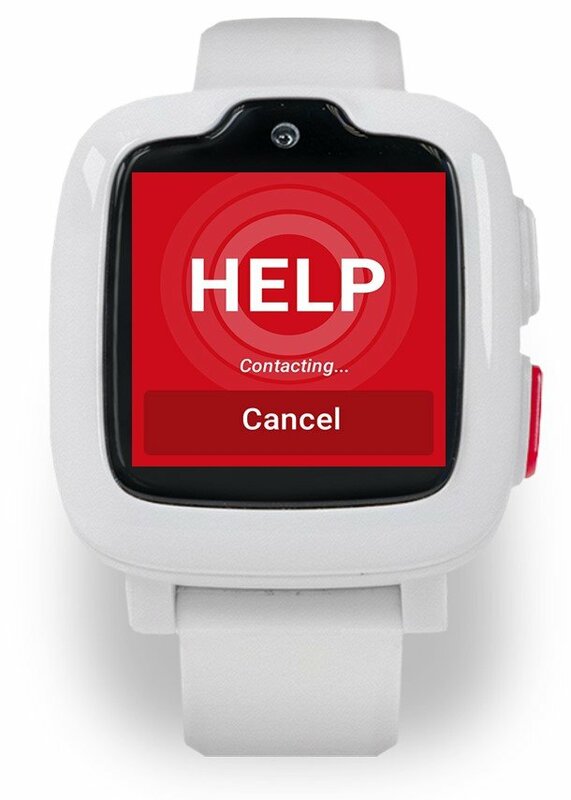 Easily Accessible Help Buttons: There is a help button on the side of the watch, as well as one on the home screen of the watch. Press either one and staff from the monitoring centre will begin talking through the two way speaker embedded in the watch to assess the situation. At that point either the staff member can help, emergency services can be dispatched (ambulance, police or fire) or a caregiver can be contacted and sent to the exact location using GPS technology. Analog Watch: The Freedom Guardian has a dedicated screen which tells the time in a stylish analog and digital format. 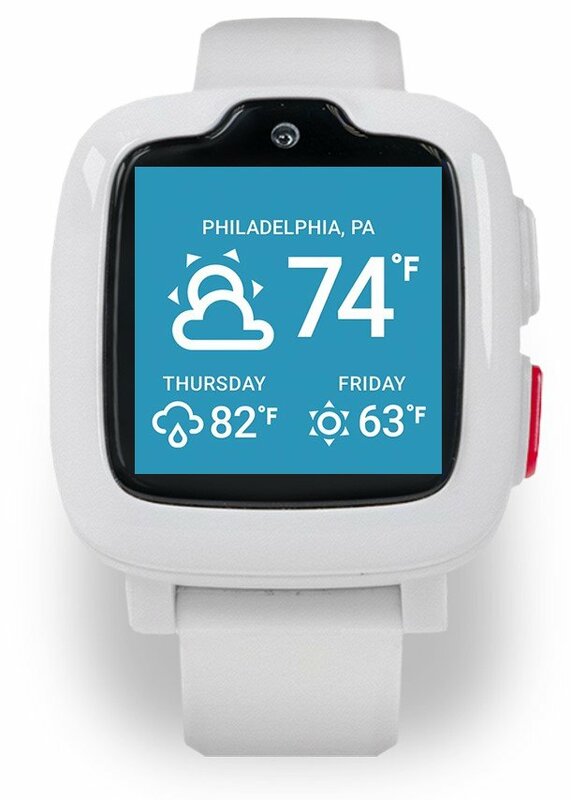 Weather Forecast: The watch displays a 3 day weather forecast for the user's current location. Low Battery Notification: The battery only needs to be charged every 48 hours. However, the battery charge can be seen on every screen and the watch will give an alert at a 15%, 10% and 5% battery charge. 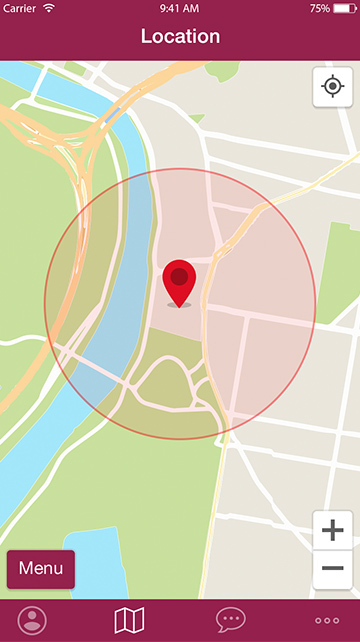 Location Tracking: The Freedom Guardian uses GPS, wifi location and triangulation to keep track of where your loved one is at all times. In the event of an emergency they can be easily found anywhere in the United States to within feet of their location, even if they don't know where they are themselves. Moreover, family members can see and find their loved ones online at all times, if they subscribe to the caregiver app. Text To Speech Messaging (extra): Family caregivers can now send a text message to a loved one and it will be read out loud - no reading or writing required! Likewise, the user can respond by voice and their message will be sent via written text. Reminders & Alerts (extra): Family caregivers can manage their loved ones calendar, inputting appointments, medication reminders, birthdays etc... The watch will notify the user. The system is sleek, stylish and light. It will encourage more people who can benefit from a medical alert system to wear one. Gone is the bulky wrist pendent. Gone is the two piece mobile medical alert unit. It's affordable. Many smartwatches cost upwards of $300-$400, plus a monthly subscription. At $99, the Freedom Guardian is accessible to most. It's great for caregivers. The companion mobile app is easy to use. If you're looking for some added peace of mind you'll be able to know where your loved one is at all times through the watches GPS tracking. You'll also be able to help your loved one with reminders and notifications, whether on their calendar or through text to voice messaging. It's easy to use. The biggest fear when going from a simple medical alert button to a more complex smartwatch is that it will be hard for a senior to find the emergency button. While not as easy as the single help button medical alerts, it's still a pretty accessible and easy to use help button. We like the company behind the Freedom Guardian. Medical Guardian has an excellent reputation within the medical alert industry. They have a strong track record and have very good customer and industry reviews. Customer friendly contracts. You can cancel at any time. Even if you get the discount that comes with the 1 year plan and you cancel early, you'll get refunded for the pro-rated amount of the unused months. There is no fine print (which tends to be a little bit of a problem in this industry). Limited time promotion. 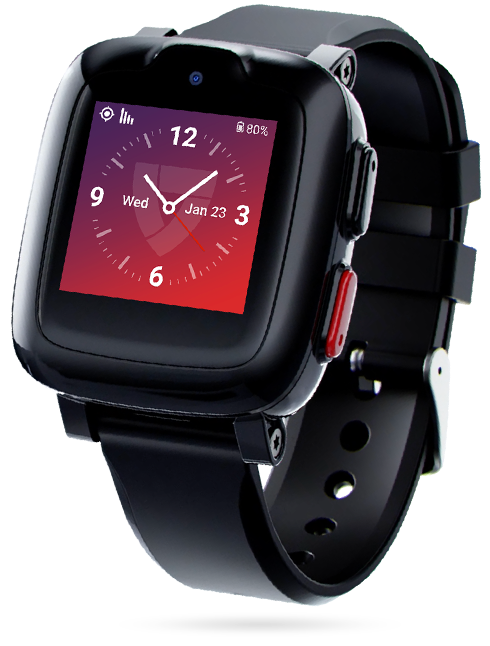 Medical Guardian is offering 2 free months to promote the Freedom Guardian smartwatch. A nice incentive valued at $90. To our surprise, the Freedom Guardian is not waterproof or water resistant. It has a IPX7 rating, which means it is splash resistant. You cannot use it in the shower or bath which is where the majority of falls take place. It does not have automatic fall detection. One of the compelling advances in medical alert technology was the development of automatic fall detection. In the event of a fall or medical emergency where you are unable to press the help button yourself due to loss of consciousness, injury, seizures, etc... the monitoring centre would be contacted even if you couldn't press the button yourself. It's still not as easy as a single button medical alert device. In a moment of panic or injury, will the wearer of the smartwatch be able to press the side button and hold it down for 3 seconds? Sometimes simplicity is the best answer of all, especially for the elderly. Perhaps this is designed for a more youthful older adult. Unfortunately, one of the biggest hindrances to the wide adoption and use of mobile medical alert systems is the inconvenience of their size and the stigma that comes along with wearing one. They tend to be bulkier than in-home devices, and often require to separate technologies - the help button pendent and the two way voice communication device. 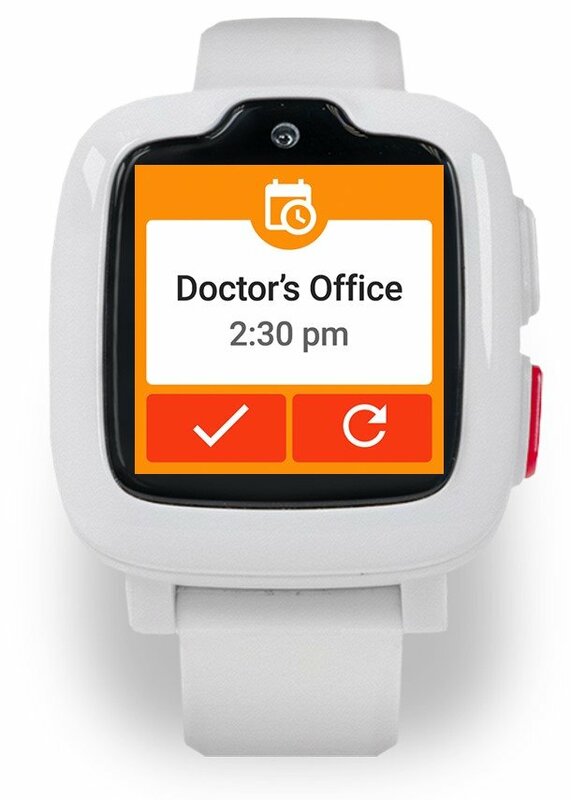 The big plus with the Freedom Guardian is that it's an all-in one medical alert device, in a nice sleek smartwatch design with no stigma attached to it - it looks like any other smartwatch. The only downsides we see, is that it can't be worn in the bath or shower, where most falls take place. It also does not come with a fall detection option, which may be a non-starter for some. 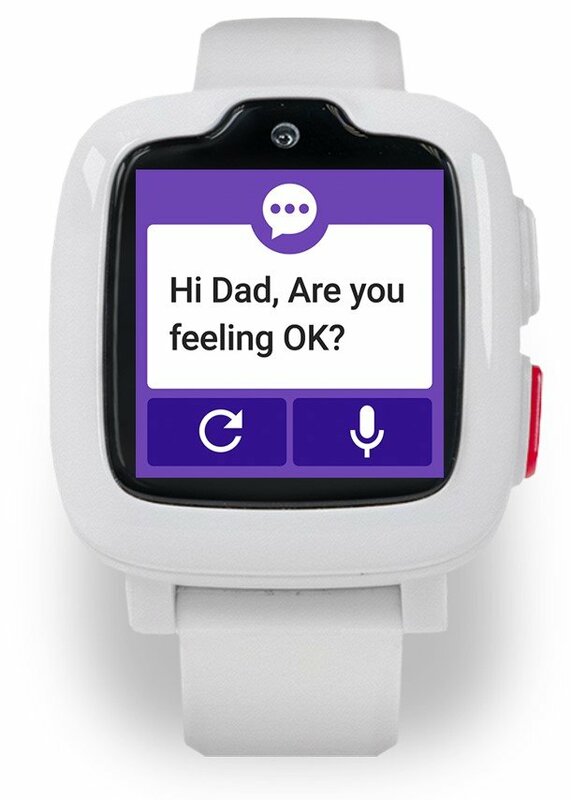 If you, your mother, father or spouse are reluctant to give a medical alert system a try because of the stigma that comes along with a medical alert pendent, the Freedom Guardian smartwatch may just do the trick.